Sherry is a licensed Realtor and has been a key member of the team for many years. Her experience in the field of broadcasting journalism has brought a lot of in-depth marketing knowledge to listings. 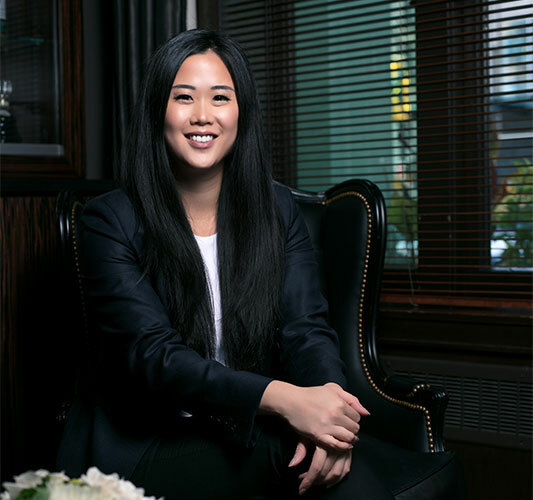 Sherry's knowledge of social media, combined with her strong language skills in Mandarin and passion for real estate, assists the team in tackling the luxury home market in Vancouver's Westside. Sherry is dedicated to helping buyers find their ideal dream home. "Sherry Chen is an amazing Realtor. I've worked with several Realtors and she is one of the best without question. Sherry assisted me with both a purchase and a sale. In both instances, she demonstrated that she is patient, intuitive, proactive and extremely professional. She took the time to understand my needs and only recommended properties to me that she knew I would be interested in, thus not wasting my time. When we sold my property, she was conscientious with pricing it right to match my comfortability whilst maximizing my return on investment. I highly recommend Sherry to my friends and family and truly believe that her work ethic will not disappoint." - ADONIA T.